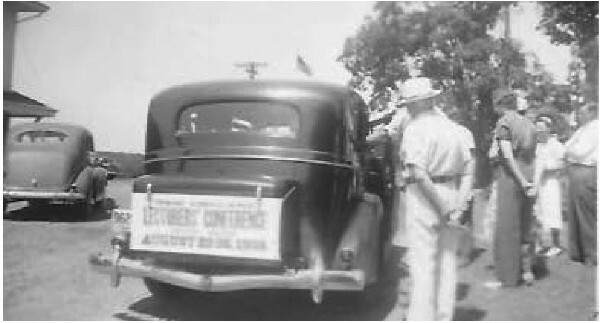 It may not be 1938 when Grangers met to give their Lecturers a royal send-off to the New England Lecturer's Conference, but you will travel in better style and with greater speed to the 95th Annual Northeast Lecturer's Conference this August 2nd through 5th at Vermont Technical College in Randolph Center, Vermont. Information on the Conference has been sent to all Lecturers and those who attended last year. Anyone else wanting this information and registration forms should let me know. Connecticut will rehearse their program at 1:00 P.M. on Tuesday with the program beginning at 2:15 P.M. Our program is on Texas. If anyone else has a number relating to the State please send it to me. This is Connecticut's program. I cannot do it without your help. Grange Sunday is June 13 at Good Will Grange Hall (the home of East Central Pomona No. 3 and our State Grange Central Office) beginning with Amy's Church Service at 11:00 P.M. This will be followed by a Lasagna Dinner put on by the Youth. Then at 1:00 P.M. we will hold our Talent and "A Number" Contests. Hopefully every Pomona will be represented that day. The "A Number" Contest is a State Contest and ends here. However, the winner of the Talent Contest will go on to compete in the Northeast Regional Contest to be held as part of the Lecturer's Conference. The Talent part is scheduled for Tuesday evening at Vermont Technical College in Randolph Center, Vermont. Let's Celebrate will be held on July 24 at CHESHIRE GRANGE. 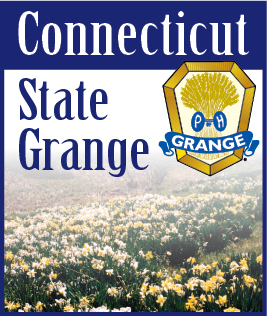 The State Grange Photo Contest will be a part of the festivities. If you haven't already taken your pictures, now is a good time to do so. Entries for the photo contest may be mailed to me ahead of time, left at the State Grange Central Office allowing enough time for me to make a run up there to pick them up, or they may be brought to Cheshire Grange on Friday, July 23 between 9:00 & 11:00 A.M. They will be judged Friday afternoon. This will allow both the CWA and myself more time to set up and have an attractive display for all to see. On Saturday, the hall will open at 11:00 A.M. The Junior Department will be hosting a Meatloaf Dinner with continous servings from 12:00 noon to 1:30 P.M. Tickets are available throughout the state for the cost of $7.00-- you can also contact Jr. Director Joan Perry for more information on tickets. The program will begin at 2:00 P.M. We will not only be celebrating New Orleans style, but will be featuring a Barbershop Quartet as part of the entertainment. Best wishes to all for a safe and enjoyable summer. I hope to see you all around the state and in Vermont this August!